Learning English from qualified, professional, experienced teachers and gamers is not your average learning experience. Many English language students don’t like the language course mentality of learning. Instead, we aim to activate the language skills of learners through elicitation, engagement and constant interaction. To this end, DnD ESL offers creative, fast-paced, dynamic, fun learning that cannot be compared with grammar-based language lessons. What can you expect in terms of development? 1. You don’t teach grammar in the lessons. Should I study grammar in my free time? Certainly. The more independent study you do, the more you will benefit from our sessions. 2. Should I take a grammar-based course in addition to yours? It’s completely up to you. Any additional English language study you do will benefit you. 3. Do you also offer other types of English lessons? While all of our native speaker teachers are qualified, experienced English language professionals, the concept of our educational method is different from that of traditional language courses. For this reason, we do not offer General English lessons in addition to gaming sessions. 4. Do you give homework? Yes. Homework focuses on vocabulary, writing skills, reading and listening. Homework is tailor-made to focus on a student’s language weaknesses. 5. How long is a typical DnD ESL course? Each lesson is typically two hours long, and the campaign (the whole course) can vary in length. Our usual campaigns last for 60 hours, so 30 lessons, to give students plenty of time to improve and experience the joys of creating an adventure story together. However, this can change depending on student or group needs. 6. What are your prices? Our prices vary depending on the number of students. Please contact us to find out more detailed information! 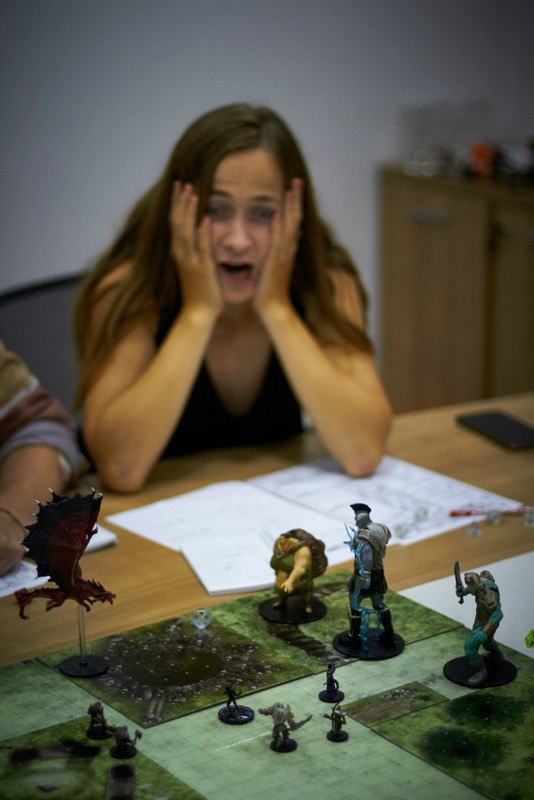 Check out our information on role-playing games and creating a character to get more information about what you will do in class!